NAIROBI, Oct 30 2014 (IPS) - Recent discoveries of sizeable natural gas reserves and barrels of oil in a number of African countries — including Uganda, Tanzania and Kenya — have economists hopeful that the continent can boost and diversify its largely agriculture-based economy. But environmentalists and climate change experts in favour of renewable energy say that the exploration of oil and gas must stop, as they are concerned that many African countries lack the capacity to exploit oil and gas at minimal risk to the environment. Economic policies are not driven by environmental concerns, Hadley Becha, director of local nongovernmental organisation Community Action for Nature Conservation, told IPS. Becha said that despite the global shift away from fossil fuels, “exploration and production of oil and gas will continue” while Africa’s natural resources, particularly oil and gas, are controlled by multinationals. 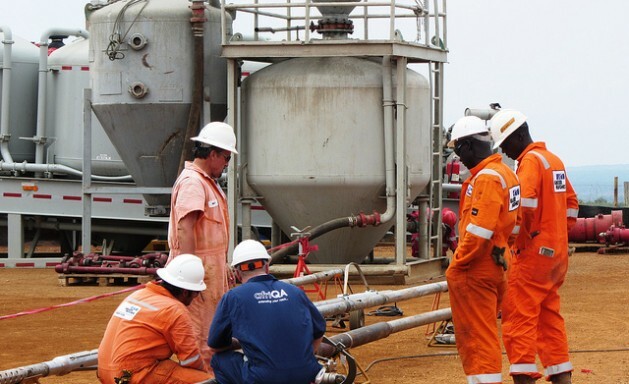 Like many experts in the oil and gas industry, Becha believes that multinationals will still be awarded permits by local governments as the extractive industry has shown a great potential for revenue generation. According to KPMG Africa, a network of professional firms, as of 2012 there were 124 billion barrels of oil reserves discovered in Africa, with an additional 100 billion barrels still offshore waiting to be discovered. And while only 16 African countries are exporters of oil as of 2010, at least five more countries, Mozambique, Uganda, Tanzania, Kenya and Ghana, are expected to join the long list of oil-producing countries. But unlike Egypt, which has specific Environmental Impact Assessment (EIA) guidelines for oil and gas exploration, many African countries, including Kenya, have only one classification of EIAs, Becha said. For example, in Kenya, oil and gas exploration and production is controlled by the archaic Petroleum Act of 1984, which was briefly updated in 2012. “The Petroleum Act of 1984 is a weak law, especially with regards to benefits sharing and is also silent on the management of gas,” Becha said, adding that the oil and gas sector was very specialised and required detailed and specific environmental impact guidelines. Experts say fossil fuels will have a significant impact on weather patterns. The Intergovernmental Panel on Climate Change (IPCC), which was released last month, revealed that temperatures on the African continent are likely to rise significantly. “There ought to be specific guidelines for upstream [exploration and production], midstream [transportation, storage and marketing of various oil and gas products] and downstream exploration [refining and processing of hydrocarbons into usable products such as gasoline],” Becha said. Policy experts are pushing Kenya’s government to develop sound policies and comprehensive legal and regulatory frameworks to ensure that Kenya benefits from upstream activities and can also explore technology with fewer emissions. Kioli, the brains behind Kenya’s Climate Change Authority Bill 2012, emphasised the need to address the issue of governance and legislation in Africa. Kenya’s government estimates that the 2013-2017 National Climate Change Action Plan for climate adaptation and mitigation would require a substantial investment of about 12.76 billion dollars. This is equivalent to the current 2013-2014 national budget. Mwangangi said it is now common to find assistance to Africa simultaneously counted towards meeting climate change obligations and development commitments. “This means that measured against more pressing problems like combating various diseases, climate change projects will not be given a priority,” he added. But even as Africa is adamant that oil and gas exploration will continue, Becha says the gains will be short term and unlikely to revive the economy. “With oil and gas, it is not just about licensing, there are also issues of taxation…” Becha said. Ghana is also among the few countries with a capital gains tax and a solvent fund.